Our Wildcraft Kratom has been produced from only the finest Kratom leaves available on the tree in hard to reach parts of the Borneo jungle. The leaves that make up the powders used have been wild crafted in the primary and secondary forests. 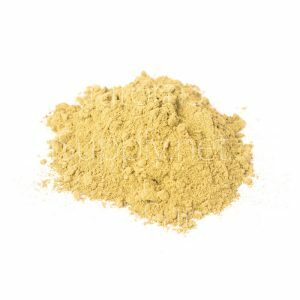 This strain provides a very relaxing aroma – if you enjoy Borneo Kratom then you’ll certainly like this too. Before processing the center vein and stem have been removed from the Kratom leaves. Our Wildcraft Kratom is 100% natural and provides an awesome aroma! Our Wildcraft Kratom powder has been produced from the very best Kratom leaves available in the Kalimantan area. The ultimate in all mellow aromas, suitable for any occasion. Definitely the best vendor for kratom. The service is amazingly excellent!!! This is the third vendor I’ve used to purchase kratom and by far the best , I chose the free first class option for delivery and received it the next day , by far the quickest vendor . the quality of product is second to none and definitely the best aroma of kratom on the net , will definitely use kratomsupply. Net for all my kratom purchases In the future . Incredible quality and fantastic after-sales service. Highly recommended! This is the best place to buy your kratom, the service is flawless, all the strains are high quality, and all of the reviews are genuine (both good and bad). Great quality kratom. I find this the perfect aroma after a long day at work. Thanks for your valuable feedback, we’re glad to hear that our products met your expectations. Beautiful strain with uplifting aroma excellent for every occasion. Ultra fresh as always, at last a professional supplier! Incredible, Absolutely incredible. Normally I would be hesitant to describe anything as superlative but I can honestly say without any pretence that this is the best strain of kratom in the world. Absolutely sublime. Hands down the best supplier out there! Fantastic value, quality and service as always. Thanks guys!!! Thanks for taking time to provide kind feedback regarding our products and service. It’s always great to hear from people when we get things right! I have been using this wonderful strain for some time now and after sampling most other strains over the last couple of years, this is without any shadow of doubt the best there is! No matter what you are looking for in your blend, this will fulfill all your needs – It is marvelous! and these Guys never fail to supply the freshest possible blend on every single occasion and with a truly amazing dispatch and delivery service that is the most quickest, reliable and efficient I have ever encountered!! Fantastic product, fantastic service, fantastic company! This latest batch of Bali is amongst the best Kratom I’ve ever had the pleasure of burning. Great Mood lift, background energy and amazing pain killing ability. Just placed my second order of this beautiful Kratom strain and would not hesitate in recommending both Kratom Supply and their products to anyone. Great work guys, best vendors on the internet hands down!! Lovely all-rounder, great value and as usual, excellent service! The ideal all rounder, a must for anyone. Great for chilling out & at the same time, get stimulated and concentrated. A personal frequent favourite. Very good customer service, fast delivery, high quality kratom. Looking forward to next orders.